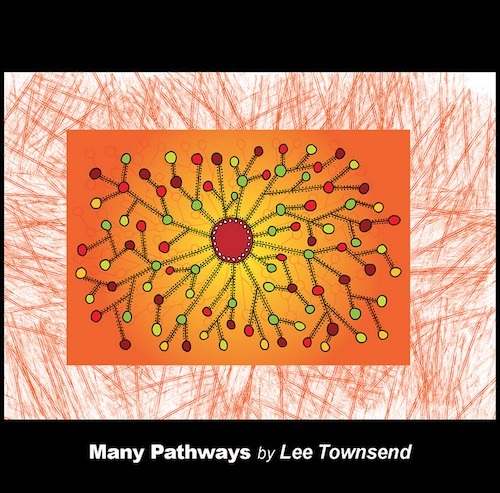 My Name is Lee Townsend, I am an Aboriginal woman born and raised in Blacktown, NSW. The countries that I belong to are Dharug and Kamilaroi. 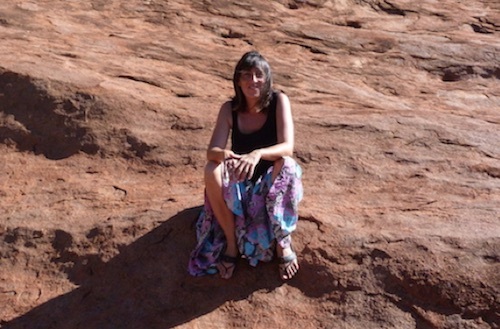 I started painting and drawing about twenty years ago and use a number of different mediums. I enjoy the different ways that I can express my stories through art and the journey that each piece of art takes me on. I love to capture the designs that I have in me onto canvas, paper or wood, each of these bases becomes the bases of all of my artistic creations. The artwork intertwines with the story and the final result is held within each piece of work. The design that is orange with the red circle in the middle is named- Many pathways and represents the many different pathways and journeys that we take to and from our homes, work or communities. Each of the smaller circles represents the destinations that we reach along the different pathways taken in life. 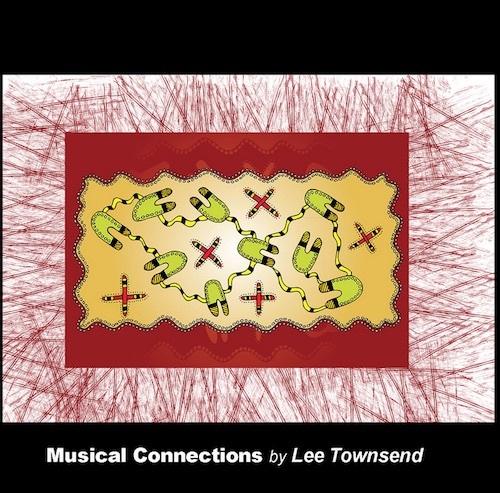 The red design with the greenish U shapes is named Musical Connection. It shows the interconnection within our family, workplaces or community and the clap sticks shows the common beat and rhythm between each of us. 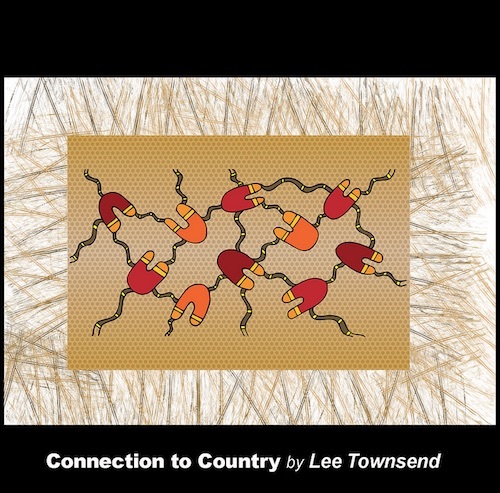 The brown design with the U shapes in earth tones is named Connection to Country. It shows the connection that we have to each other and the land that we live on. The lines coming off the U shapes (people) go into the ground and connect us to Mother Earth. We are one with each other and the land. 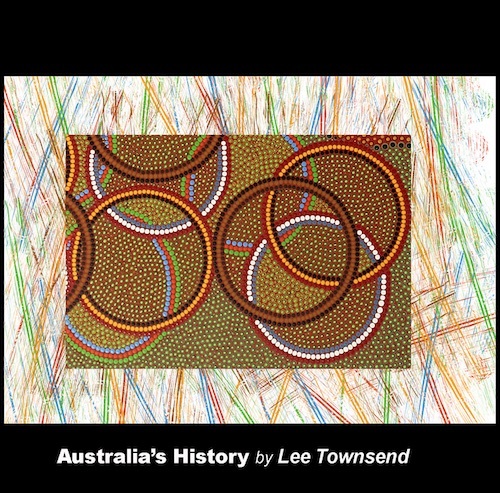 The many different layers of circles are named Australia’s history. The brown circles represent the land of Australia and how it was here before any person ever walked upon the ground. The red, black and yellow circle represents the Indigenous people that walked this land. The red, white and blue circles represent the arrival of the First Fleet and colonisation. The orange, green and blue circles represent the multi-cultural society that we live in today. 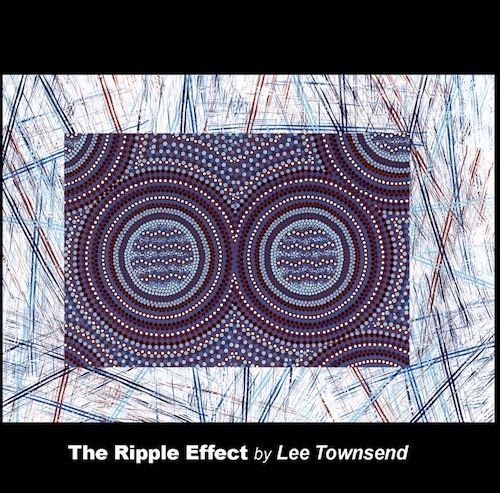 The blue design is named The Ripple Effect. It shows the connection that we have to water and the wonder of the ripple effect that occurs throughout life’s journey. Water is the giver of life and we are intertwined with and depend on water. Our Spirit shows the energy that each of us possesses. Each person is different and no two spirits are the same. We may share common colours but our inner patterns are different. I love the way that our spirits connect with others but always remains sacred to us. The black and white picture of the boomerangs is named Boomerang dreaming. The two boomerangs show that we are protected in all that we do. The spirit sits inside all of us and through the travelling boomerang we are safe on our own journeys. Placing my designs onto to these products featured, has been a wonderful experience. Bring my art to others all for you to now be a part of the story and journey that each art piece holds. I hope you enjoy the story and the journey as you will now carry a piece of the original concept into your world. Thank you for assisting me to move forward.